For the 11th year in a row, we at Atlas Insurance Agency are honored to be recognized for our continuous efforts to offer our employees a fun, healthy, and supportive workplace culture. 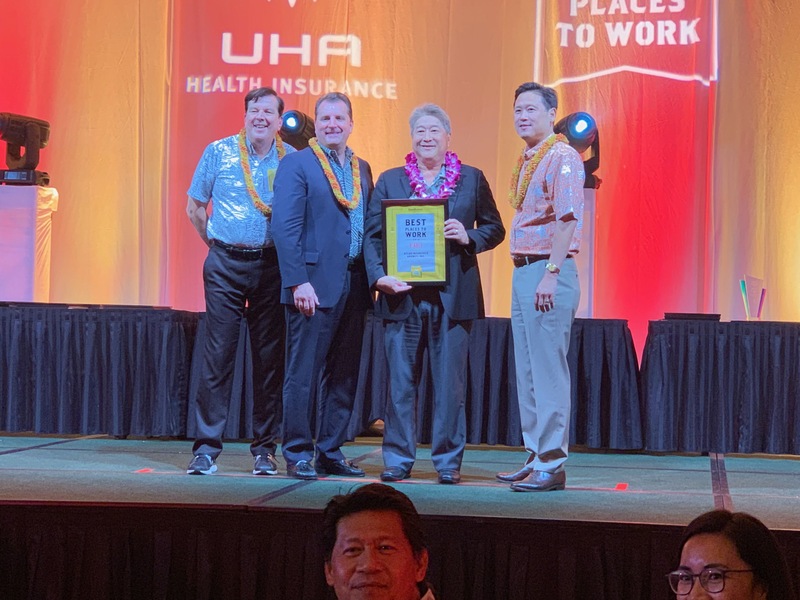 We thoroughly enjoyed the Best Places To Work celebration party hosted by Hawaii Business Magazine at the Hilton Hawaiian Village on Thursday, March 28th, 2019. Guided by our core attributes and unrelenting support of their employees, we have established a variety of employee managed committees in the spirit of Alaka‛i: the Healthy Employees Achieve Results Together Committee (HEART), the Office Activities Committee (OAC), and Encouraging Professionals, Inspiring Collaboration (EPIC). HEART is their company well-being program. Its mission is to cultivate a healthy, caring and happy workforce, with collaboration and harmony – Lōkahi. The three well-being pillars that support HEART are Physical Activities, Healthy Eating, and Work-life Balance. Physical Activities: Atlas regularly attends charitable run/walk events to keep the employees and their families active and fit. Events include the Great Aloha Run and the Heart Walk. Healthy Eating: Local Inside delivers fresh produce on site every other week and in office cooking demonstrations by local chefs that focus on creating healthy meals. Work-life Balance: Massage therapists provide a complimentary 15-minute massage, financial planning seminars for retirement and WorkLife Hawaii provides employees and family members with resources and support to weather life’s challenges. The OAC supports group dynamics through themed office activities. Employees are given an afternoon off to enjoy movies and snacks. Office bowling competition brings team members together for an afternoon of food and competitive bowling. Annual holiday celebrations for employees to come together and enjoy food, activities, prizes and live entertainment. Panel discussions by local business leaders. Networking events with fellow networking groups. Community service events chosen by employees.